Chadtronic is a YouTube channel that makes reaction videos, toy unboxings, and more. The creator used to have a YouTube channel called The Video Game Ref, a Let's Play channel that was taken down months later before the creation of Chadtronic. On September 28th of the same year, Chadtronic created a Special Patreon Q/A, where members of his Patreon asks Chad a question. Lane (the same guy who made his VGR video) asked him a question about his old channel. "Saw a couple of you ask about this surprisingly. Video game ref was my YouTube channel before Chadtronic. It was nothing special really, it only had 2-3 videos on it, all of them basically being NES let’s play videos. The videos were absolutely terrible, nothing near the level of content I make today. You’re not missing out on anything trust me." No videos or screenshots are available online outside of the removed channel. Only the theme song that was composed by Micheal Betz remains. Despite Chadtronic's claims, more than 2-3 videos were made. Most of them are Let's Plays of NES games. Theme Song by Micheal Betz. Unsolved Mysteries: The Video Game Ref. Unsolved Mysteries: The Video Game Ref Update. Unsolved Mysteries: (Update) Video Game Ref Channel Discovered!!!. 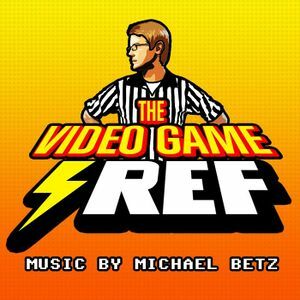 Michael Betz's website for listening to and purchasing The Video Game Ref's theme song. Wayback Machine archive of The Video Game Ref's YouTube channel (1/2). Wayback Machine archive of The Video Game Ref's YouTube channel (2/2). The Video Game Ref's Facebook Page (Inaccessible). Wayback Machine archive of The Video Game Ref's Twitter Page (Empty). Wayback Machine archive of The Video Game Ref's spread shirt page.